Turning a promising concept into a winning product is an extremely complicated balancing act. Designing a product that delivers the desired functionality is only one aspect. To maximize commercial potential, it is crucial that this also takes place in close, interactive alignment with design of the manufacturing processes and production line. What’s more, the ‘ideal’ design for different customers will depend on exactly where their preferred ‘sweet spot’ is within the competing parameters of manufacturing cost, time and quality. Philips Innovation Services integrated teams of consultancy, and manufacturing experts are specialized in finding the optimal solution to such complex design puzzles. Our professionals provide expert assistance in developing an ideally balanced and integrated design that hits your ‘bullseye’ – from concept through industrialization – in the cost-quality-time triangle. Why Design for Manufacturing, Assembly & Testing? 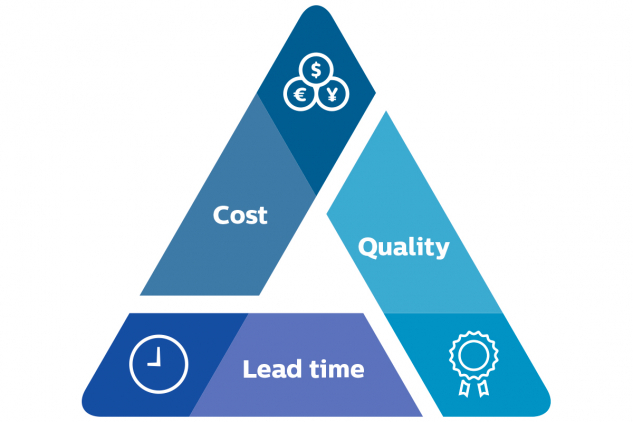 What kind of choices and trade-offs between manufacturing cost, quality and time-to-market are available to me? What will be the critical manufacturing processes and what is the best production line concept? Are my current manufacturing facilities sufficient to do the job, or am I going to need to adapt or expand my production lines to ensure easy manufacturing? How can I best structure my supply chain to increase the chance of achieving my goals? Additionally complicating is how closely these factors impact each other. If the initial design for what the product has to ‘do’ is not closely aligned with manufacturing realities and scale-up plans, KPIs will – always – eventually suffer. And this happens all too often in the traditional approach, in which R&D develops a product design in relative isolation from the manufacturing and production equipment design. Working with our Design for Manufacturing and Assembly experts helps you to close this very tricky ‘gap’ between R&D and Manufacturing. Our cross-discipline approach ensures that every relevant factor and parameter is taken into consideration from the start in identifying your perfect design solution. The results? Our teams are composed of expert consultants in product creation – including the all-important area of cost modelling – as well as highly experienced manufacturing architects and engineers. They can act as sparring partners and advisors at all organizational levels at every stage of the Design for Manufacturing and Assembly process. Together, they are capable of creating, gathering and linking up all the insights necessary to approach manufacturing in an optimal end-to-end way. We can also tackle problems you may currently have in terms of yield, or product quality, reliability and costs. In an intensive workshop, our experts help your people dig deep to find root causes – and quickly implementable solutions. These workshops also help to establish better-aligned internal processes that can prevent such issues from arising in the future. If desired, our specialists can provide additional support in implementing design planning or workshop recommendations, whether this is needed in the office or on the work floor. They are also available to provide interim support – as an add-on to your own team – in increasing the reliability and predictability of your manufacturing processes and results in general. Are you prepared for success? If your product is a hit, how and where are you going to ramp-up? What will your supply chain look like? Have you considered import duties in your calculations, and what it might mean for capital investments? An industrialization strategy that is well-planned in advance ensures the ‘answers’ to these questions are embedded in the design choices you make now, so you don’t miss the wave when it comes. Our services extend far beyond the design stage. We can provide your optimal product and manufacturing design solution from end-to-end. From single, customized machine modules to fully integrated production lines, we can develop and build the equipment and facilities you need and deliver them worldwide. The combination of product development and manufacturing expertise we apply is truly unique. 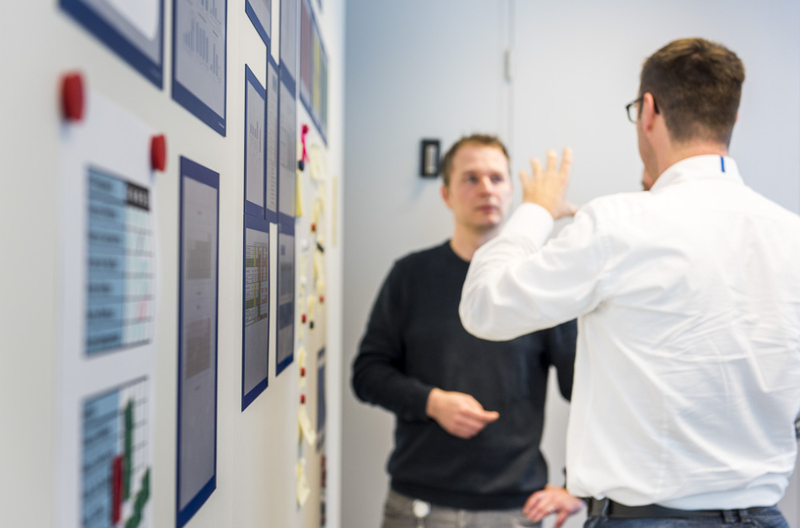 It’s what makes it possible for our consultants and engineers to go wide – and dive deep – together with your own people to evaluate all critical cost factors and production processes involved in finding your ideal solution. This ensures you get the best out of your own talent – as well ours. Although we make use of tools and methodologies developed by others, we have also created some extremely effective ones of our own based on countless customer interactions. We can put all our business excellence know-how and ammunition to work in designing your ideal solution, improving your current performance, solving urgent problems, or pinpointing your best long-term strategy. And we do so with extreme flexibility. The size and scope of our support can always be fine-tuned to deliver exactly what you need, when you need it. Multidisciplinary workshops with experts of product design, manufacturing systems and industrial supply chains to minimize integral product cost and to increase the quality of the product while applying a lean supply chain. A training program with different levels and on-the-job coaching of engineering teams, and engineering managers, teaching the DfMA analysis and tool box. An event-driven process for developing a new product (platform) with major focus on the manufacturing process design, with a close link to the product design. MMA is a structured approach to give a professional view on the quality of an existing manufacturing operation. The MMA can be used for specific problem solving in manufacturing or to compare the maturity to other production facilities.